See 7 in the Screenshot and quick reference for Classic CHM – Default template. 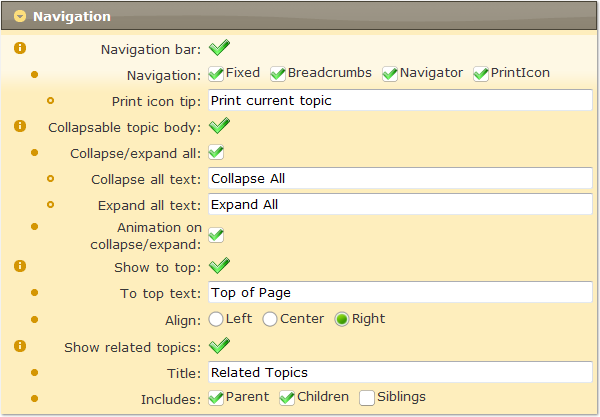 See 8 in the Screenshot and quick reference for Classic CHM – Default template. Collapse all text: Hint for the Collapse All button. Expand all text: Hint for the Expand All button. See 9 in the Screenshot and quick reference for Classic CHM – Default template. Align: The alignment of “Go Top of Page” buttons. Related to the topic body. See 10 in the Screenshot and quick reference for Classic CHM – Default template.